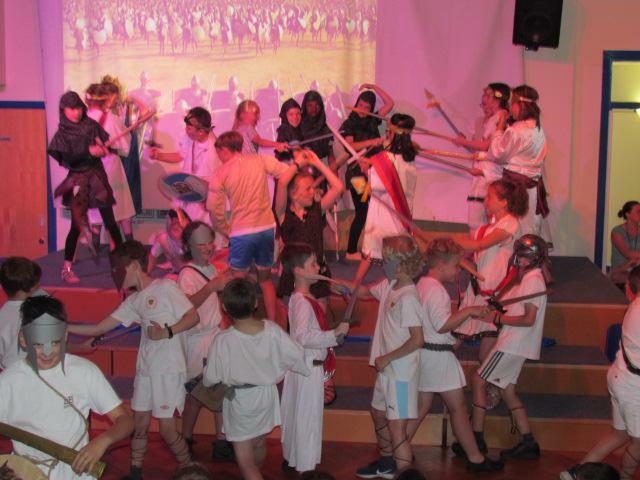 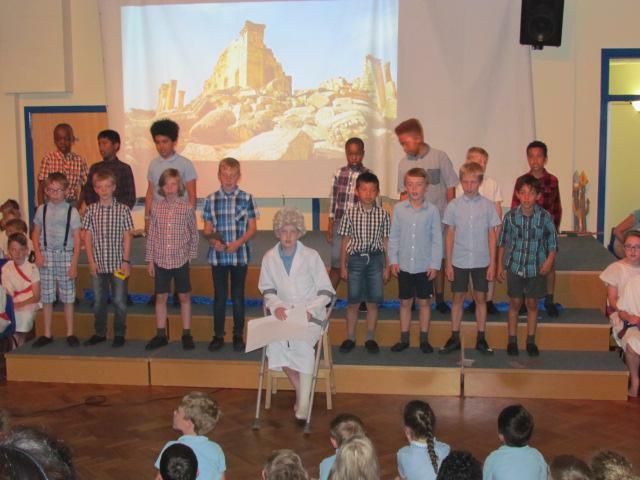 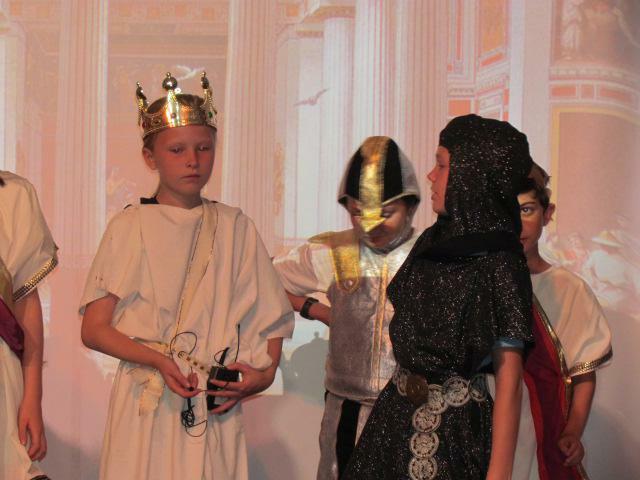 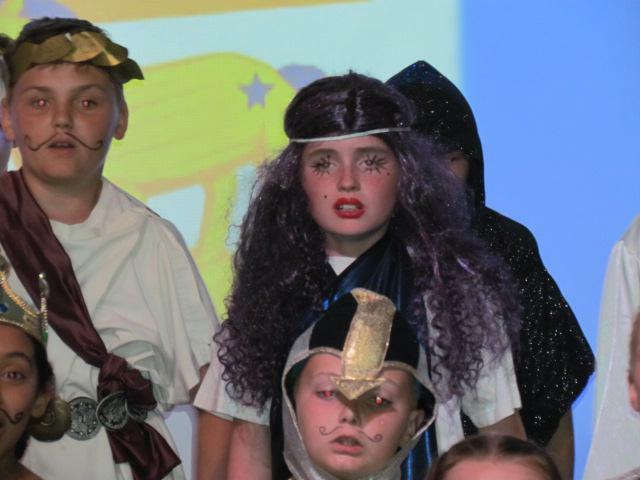 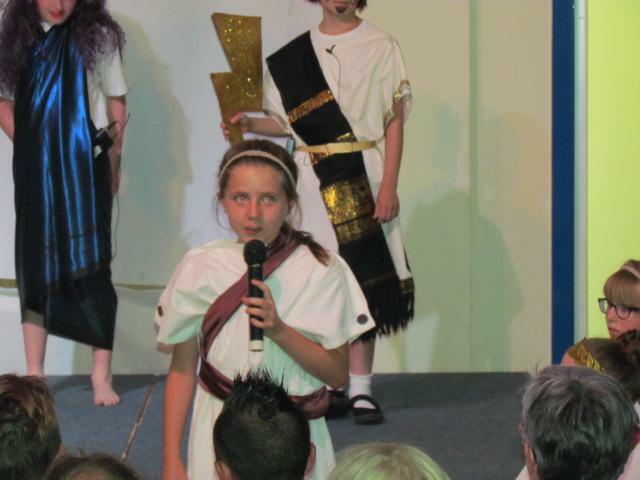 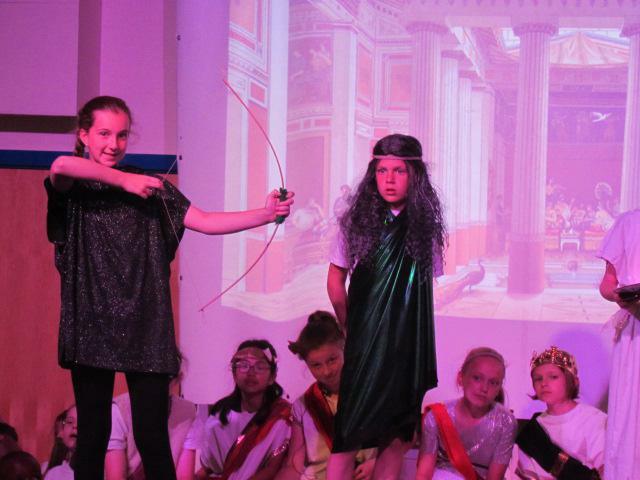 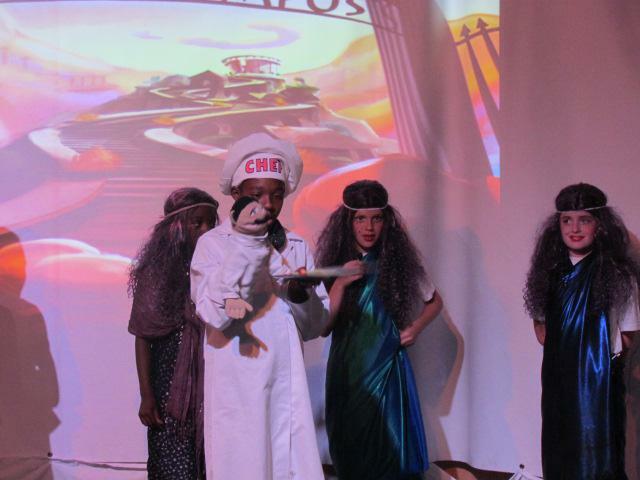 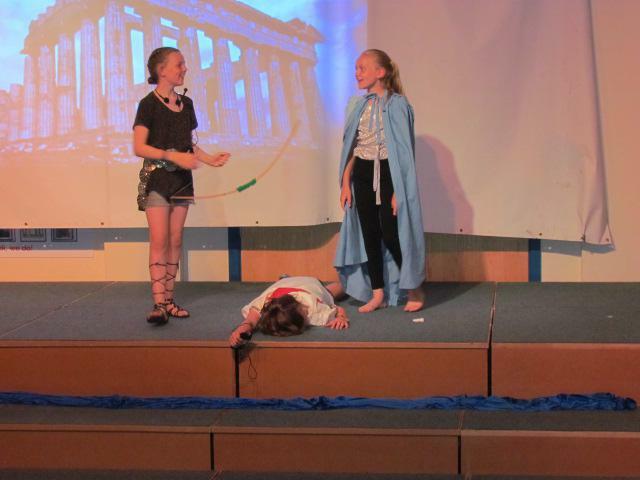 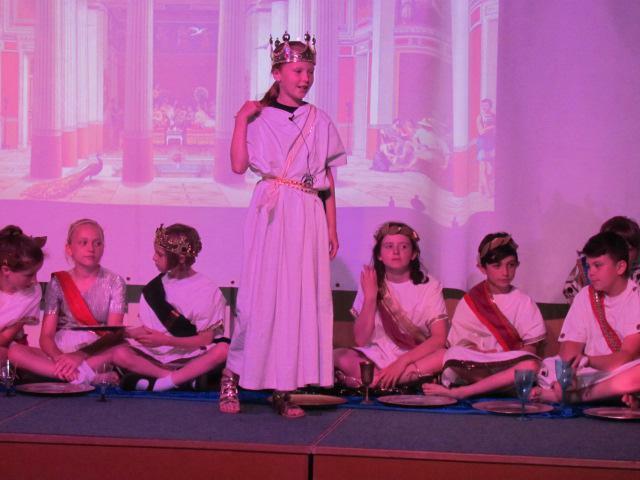 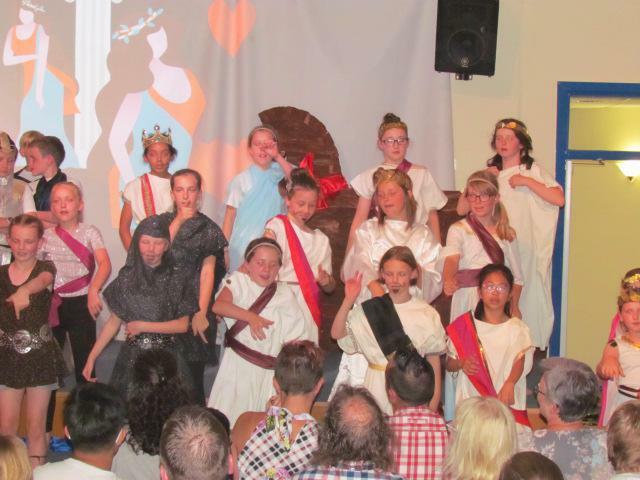 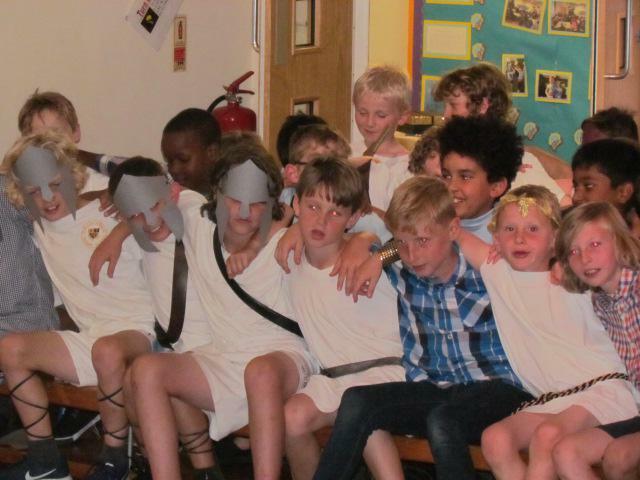 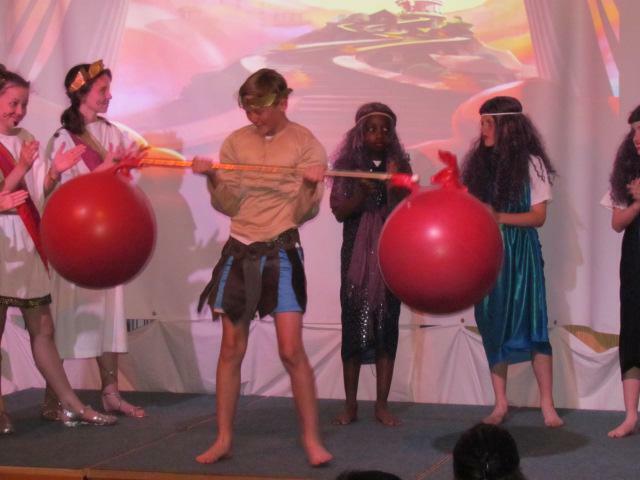 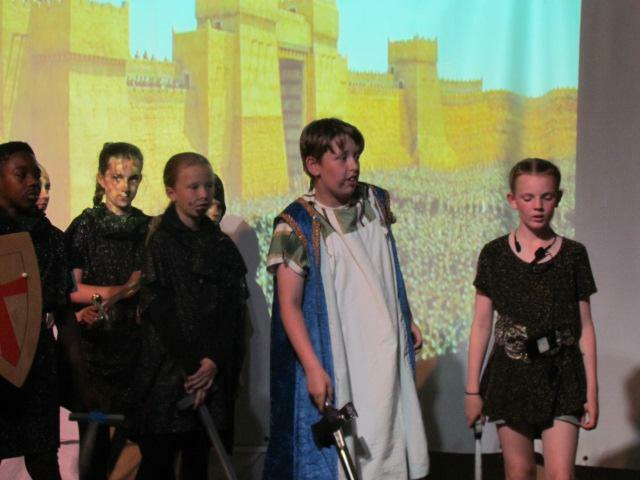 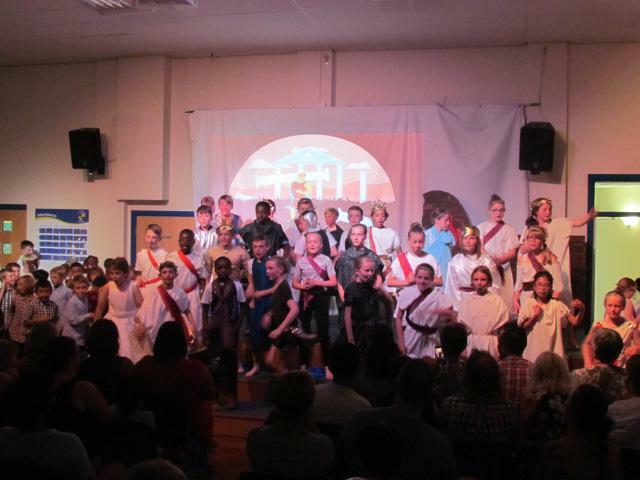 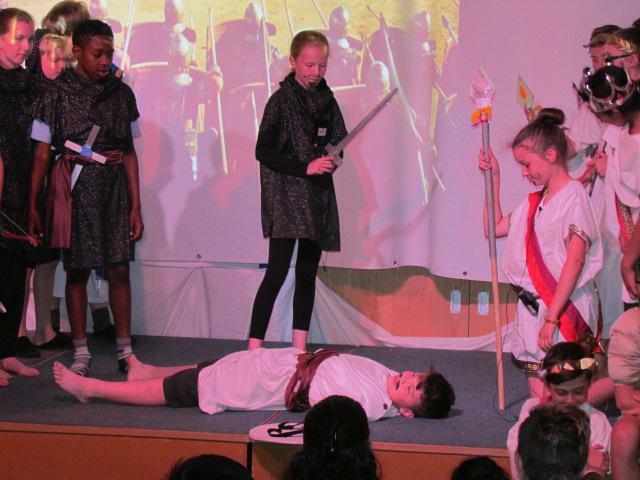 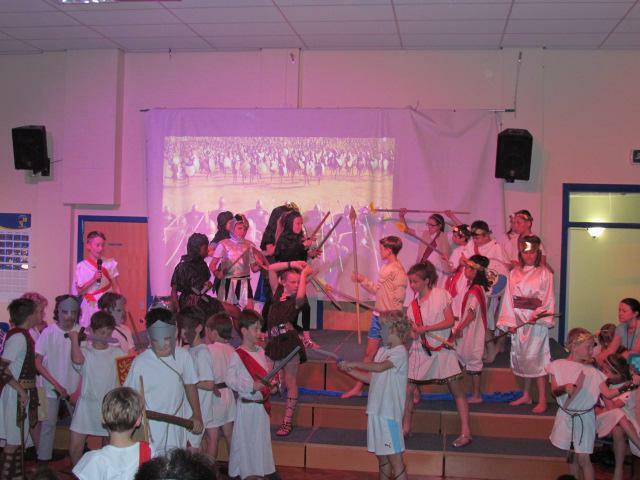 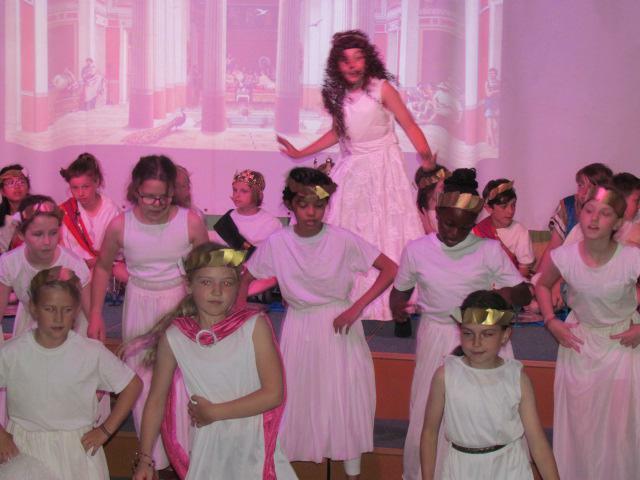 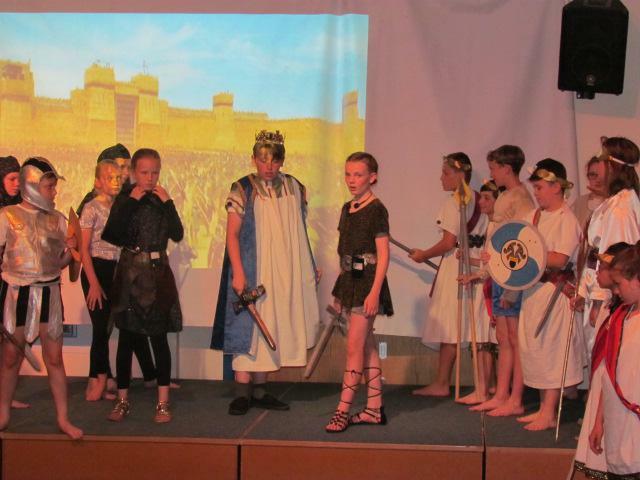 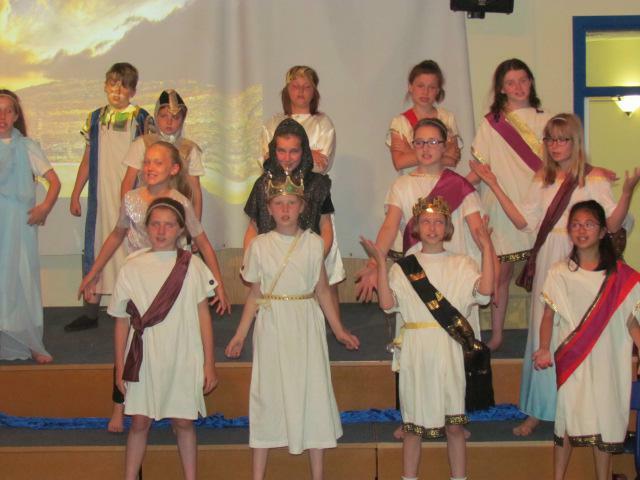 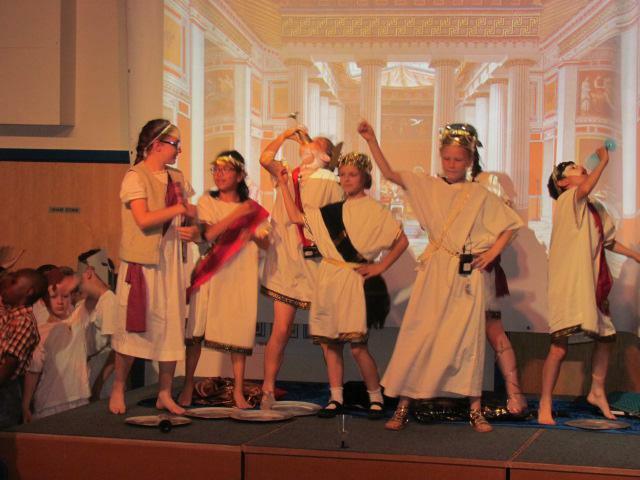 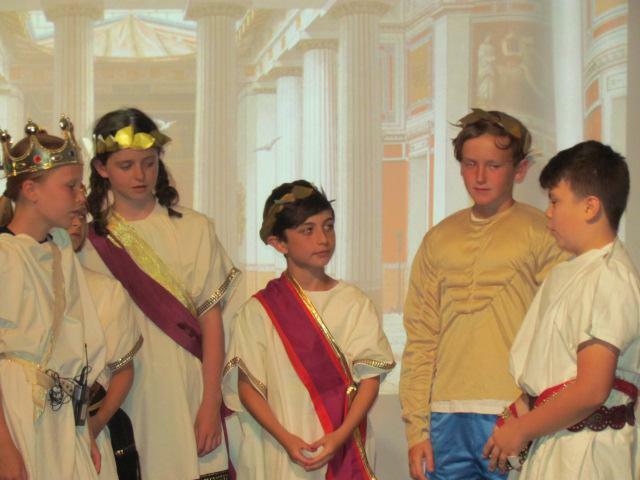 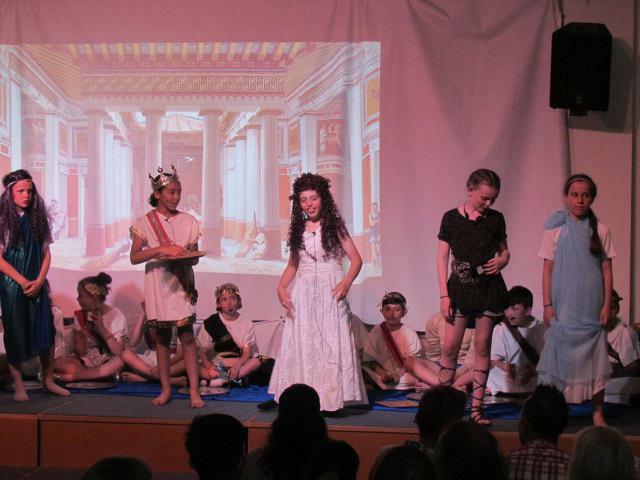 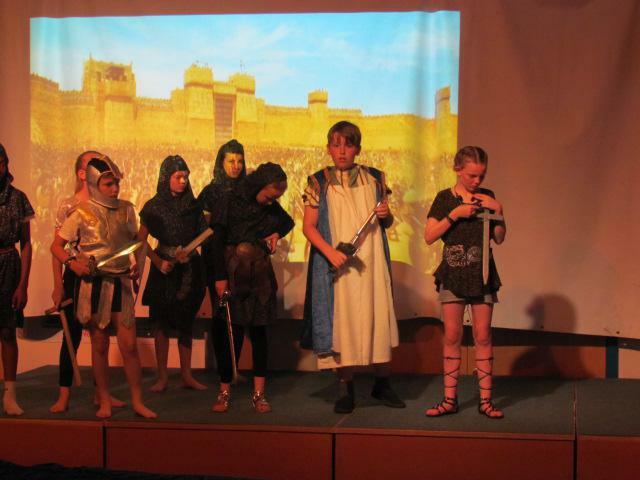 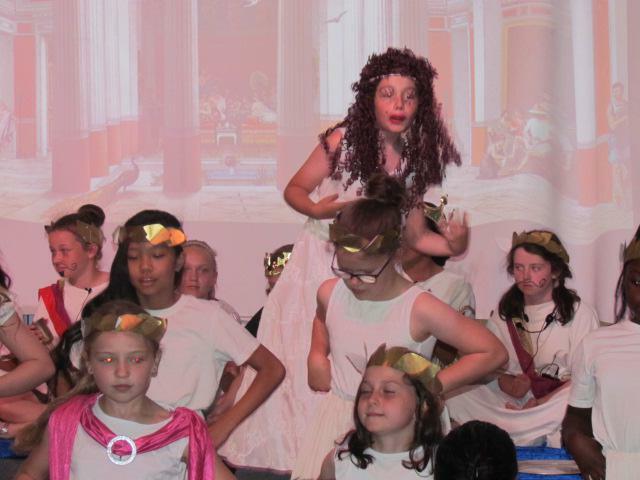 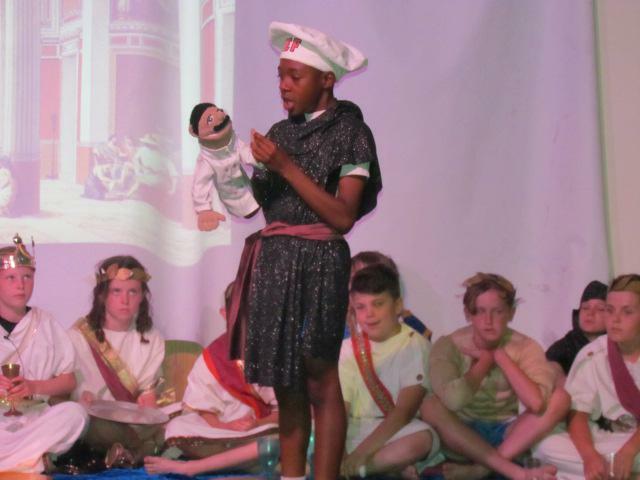 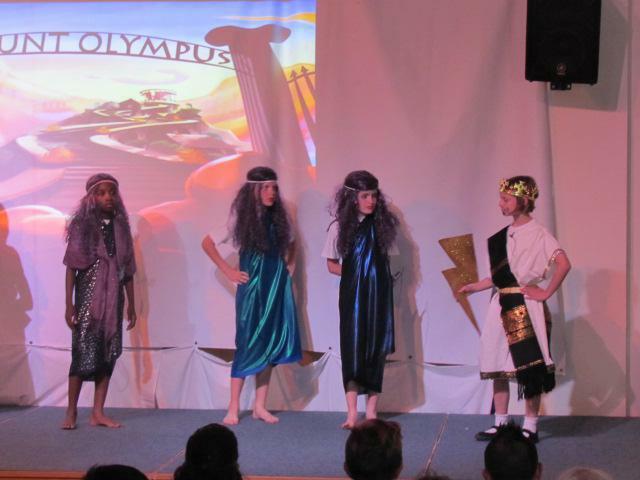 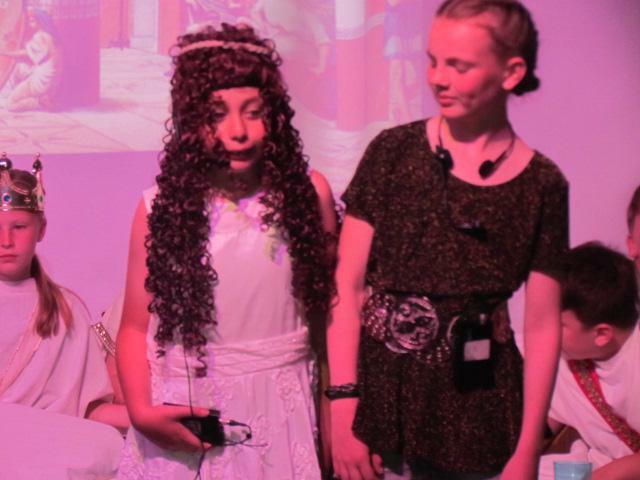 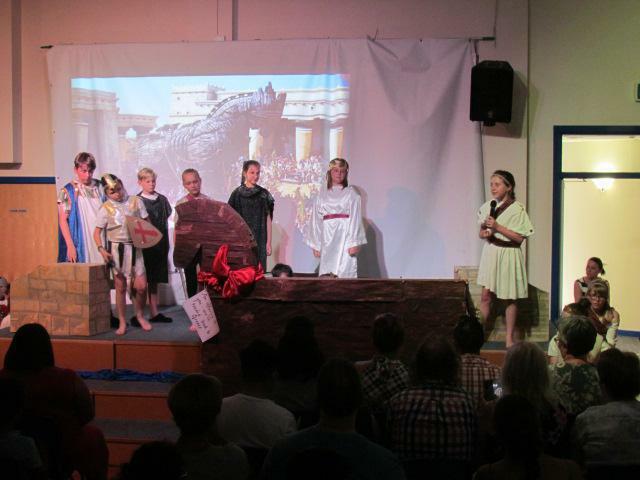 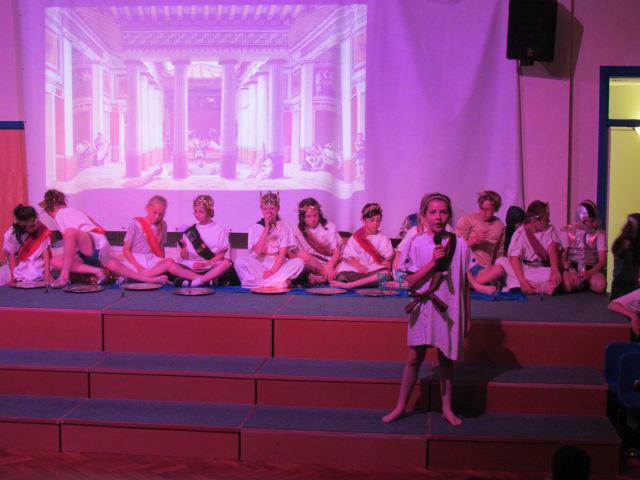 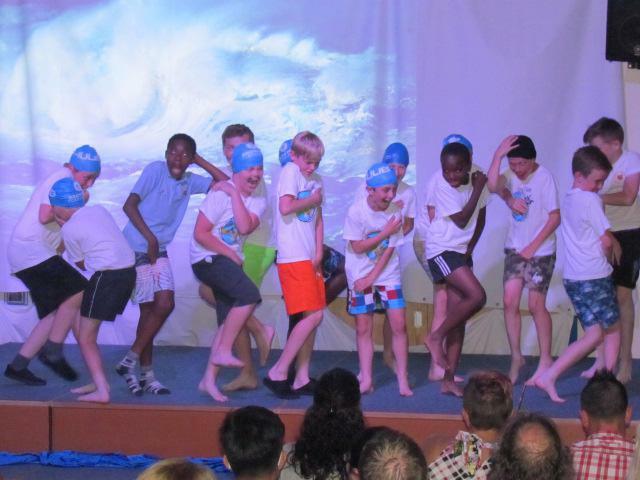 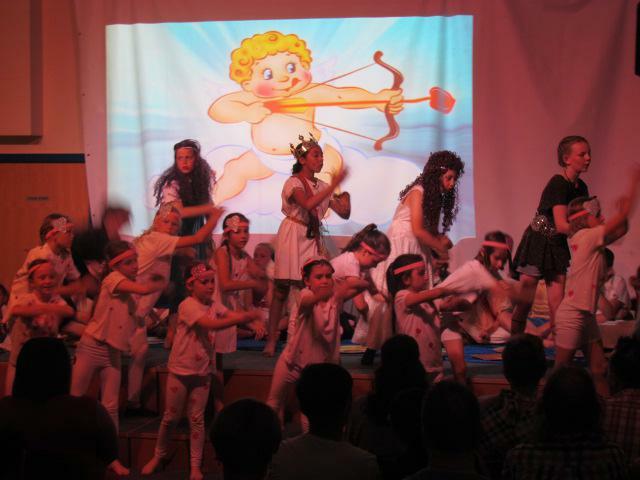 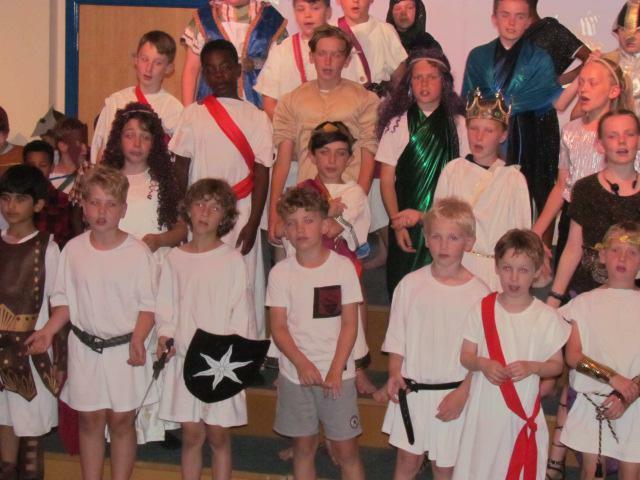 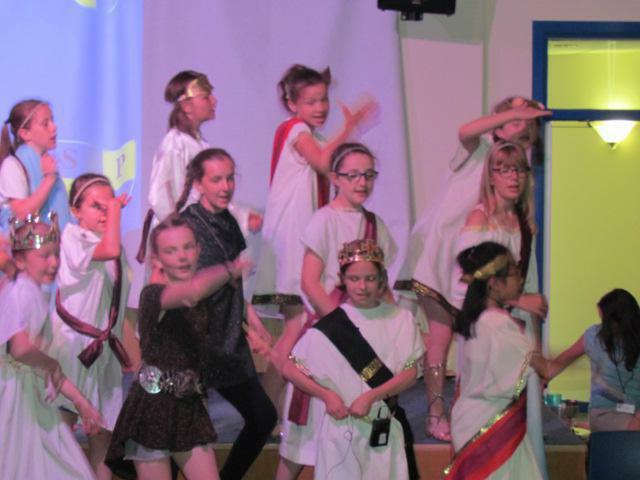 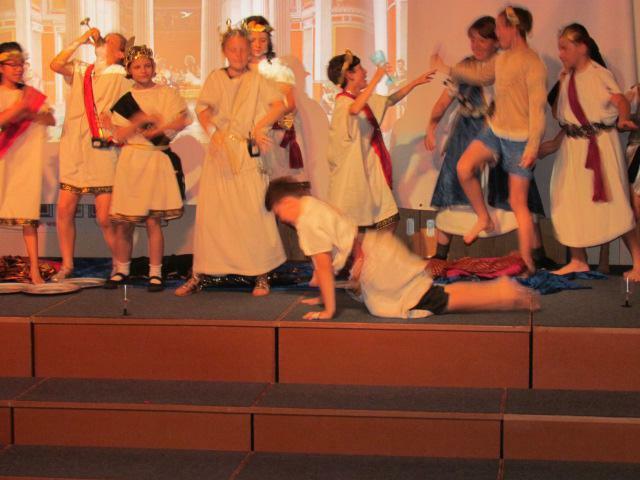 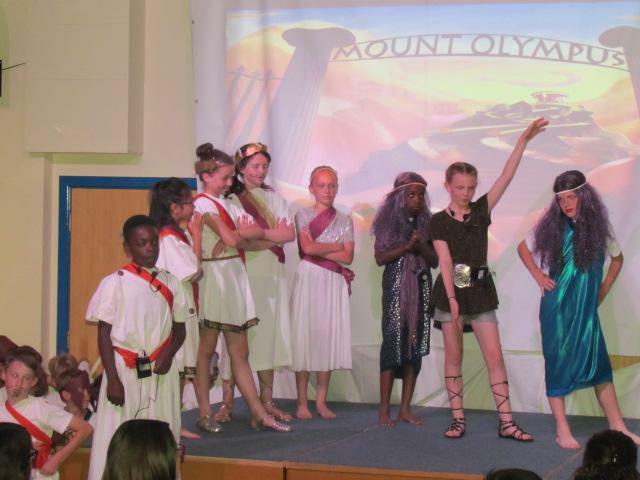 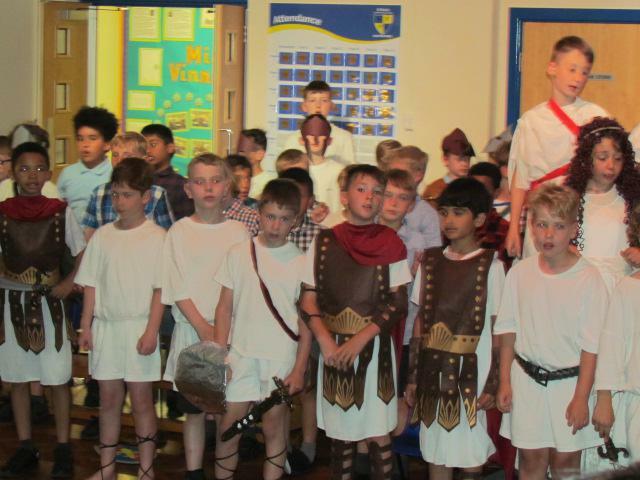 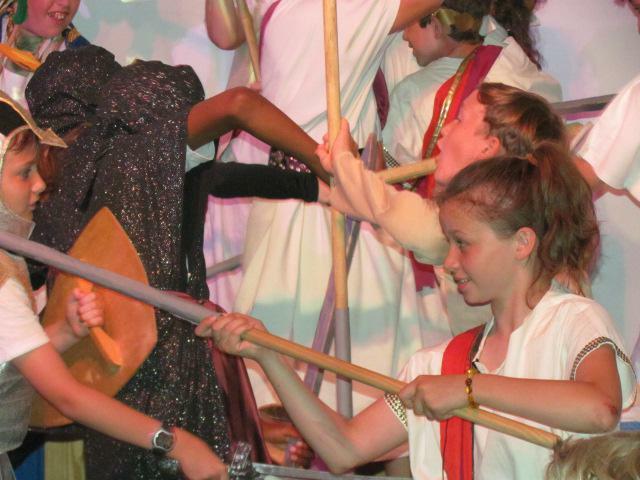 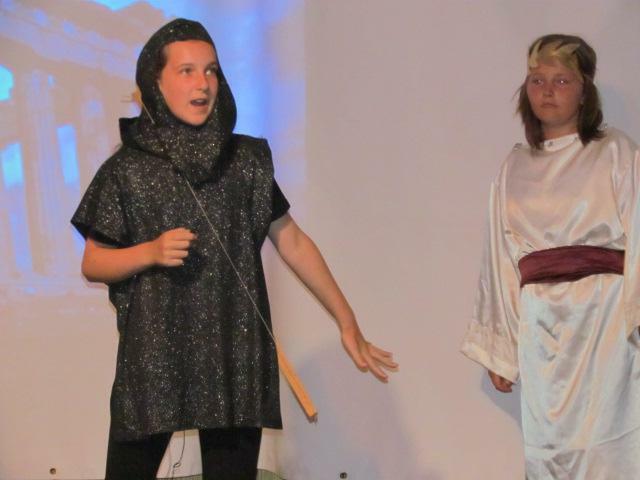 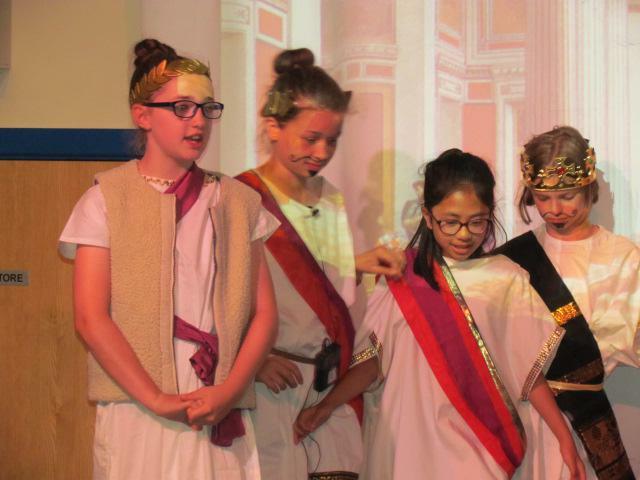 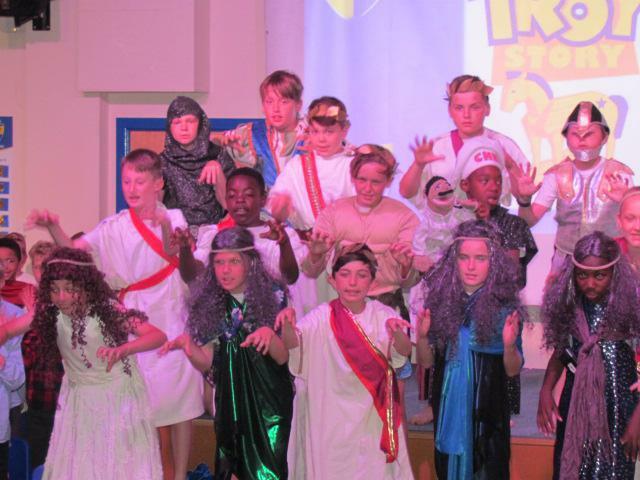 Families and friends of St. Paul's thoroughly enjoyed the last two nights of entertainment, in the end of year production, 'Troy story', a performance put on by the whole of key stage 2. 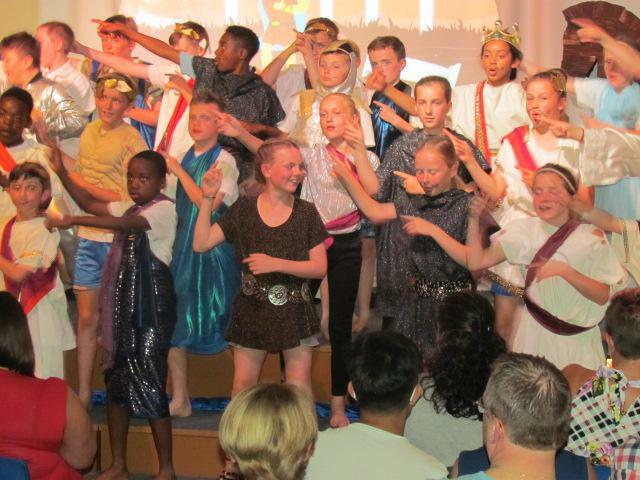 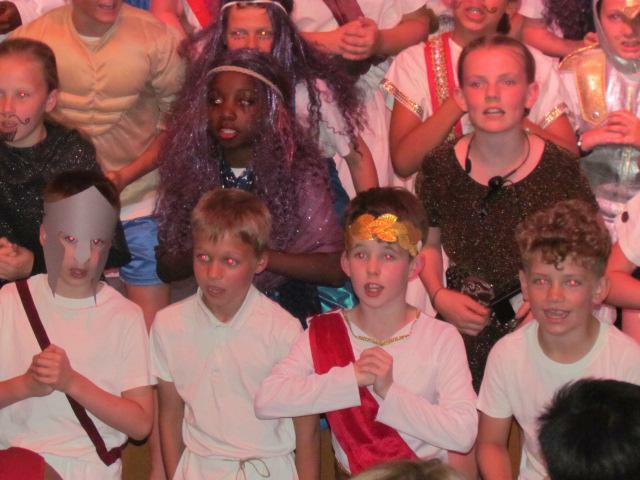 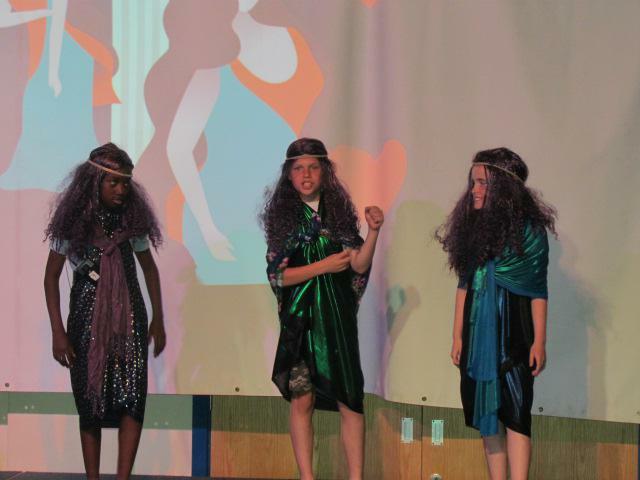 It was Year 6's time to shine and that they did, with remarkable acting, narrating, singing and dancing fit for an Oscar award! 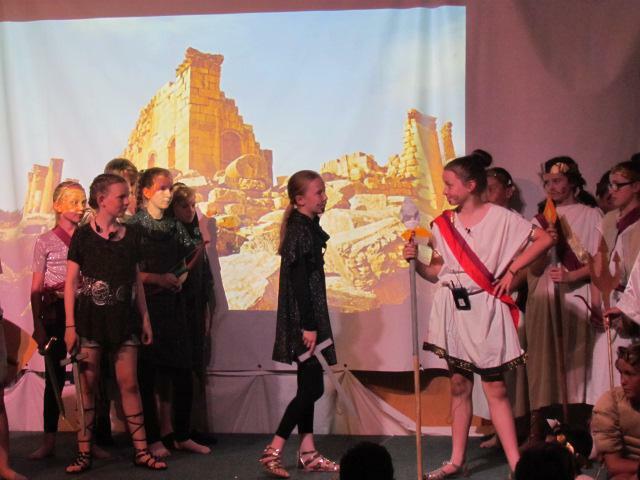 They cleverly told the tale of how the Trojan war was waged against the city of Troy by the Archaens (Greeks), after Paris of Troy took Helen from her husband Menelaus, king of Sparta. 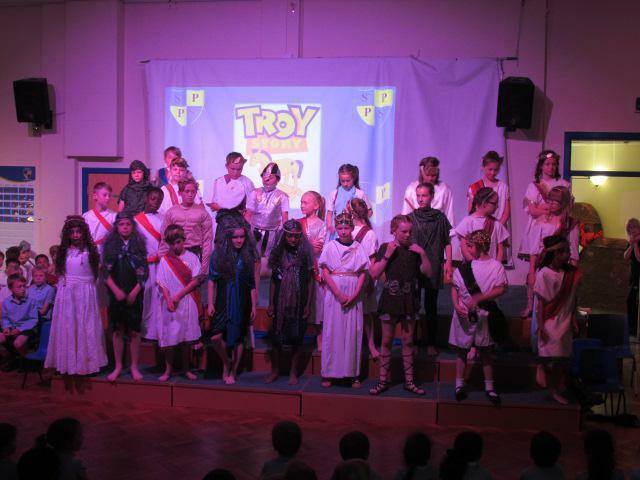 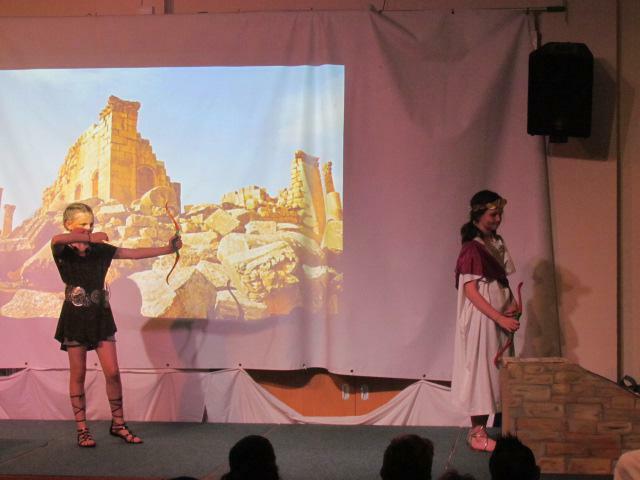 The story of Troy is not only about war, but love and the mix of Greek mythology; Gods and Goddesses brought real humour to the show. 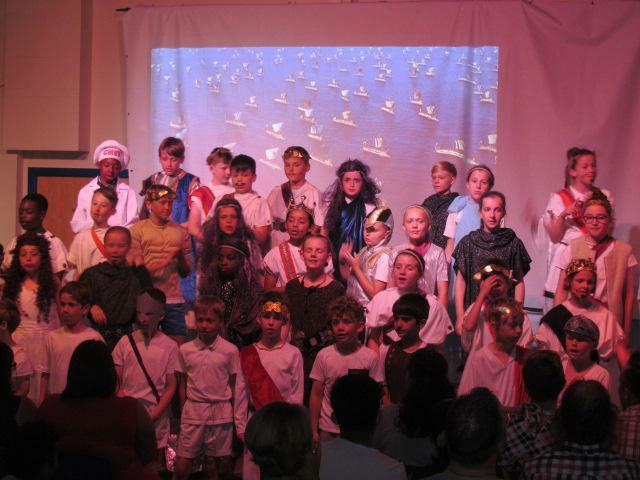 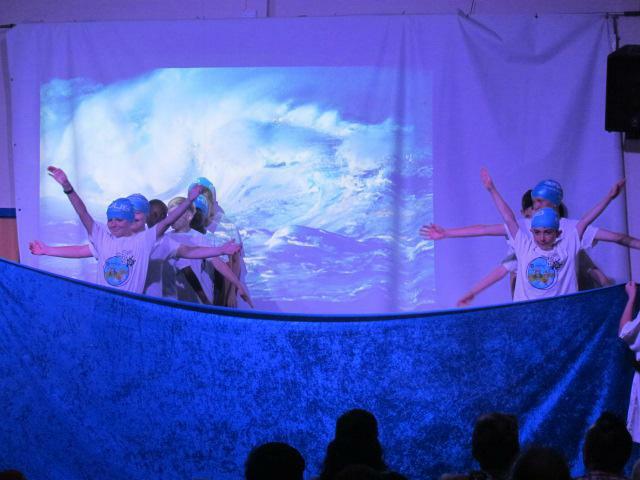 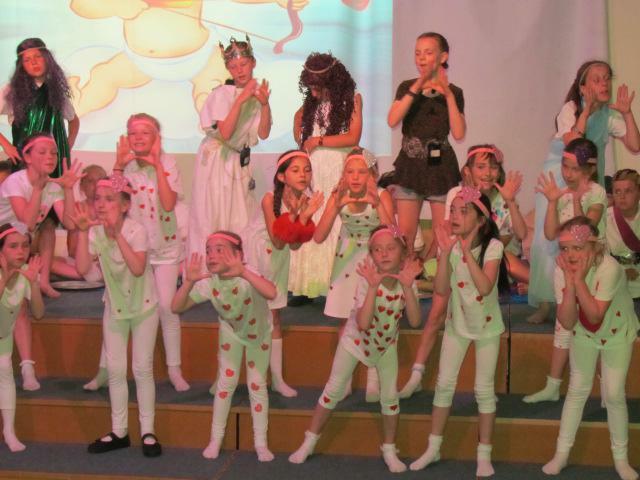 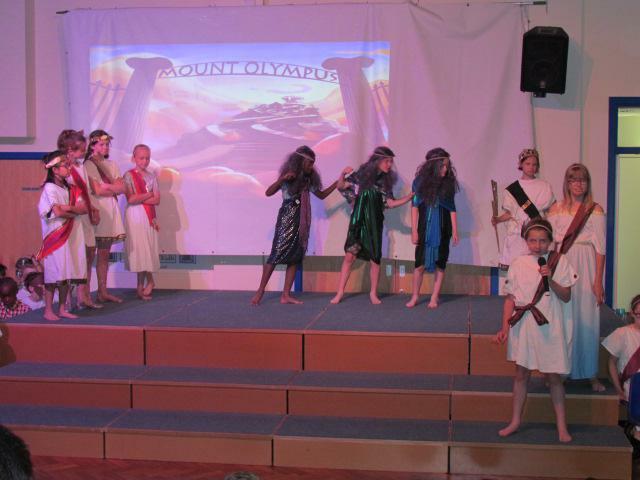 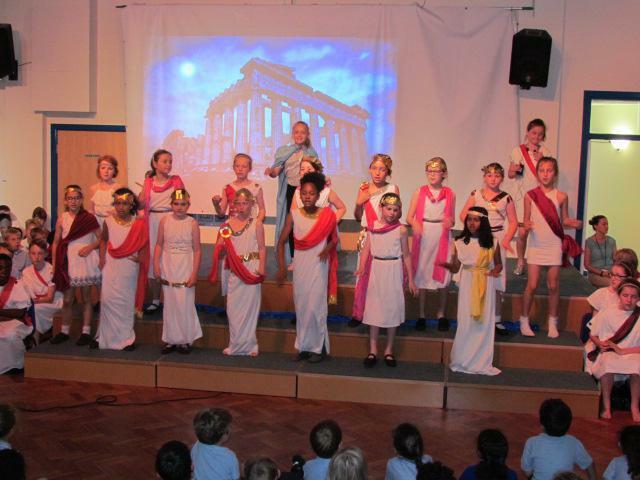 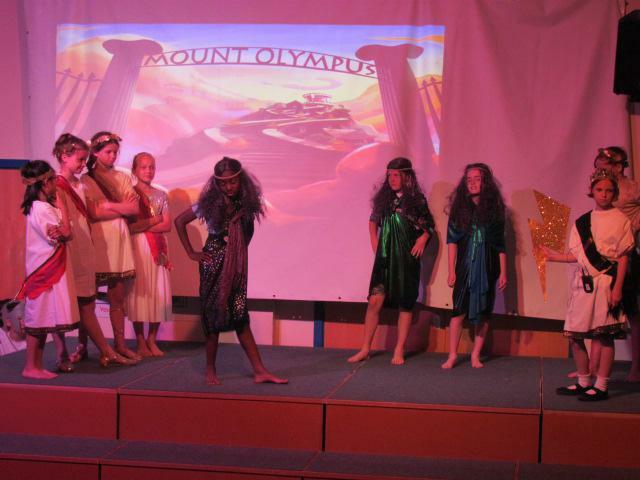 It was a wonderful performance, one that will be remembered by our Year 6 pupils for many years to come! 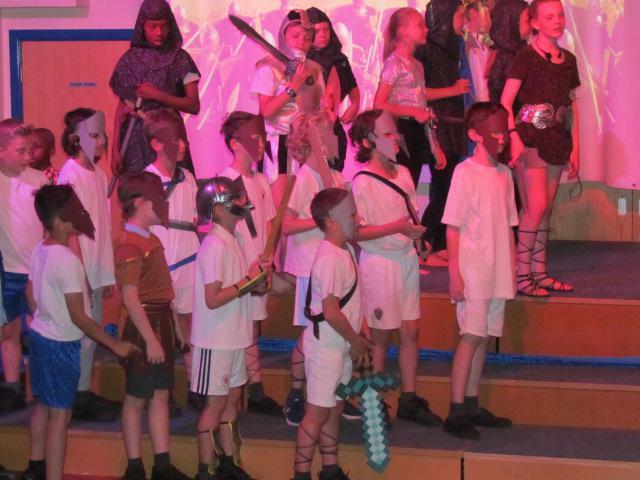 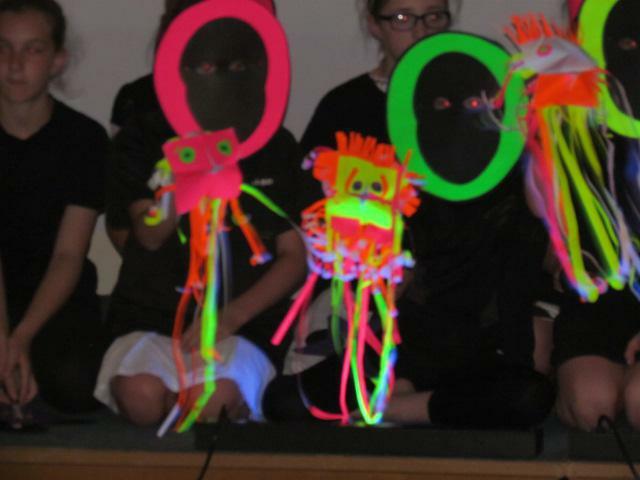 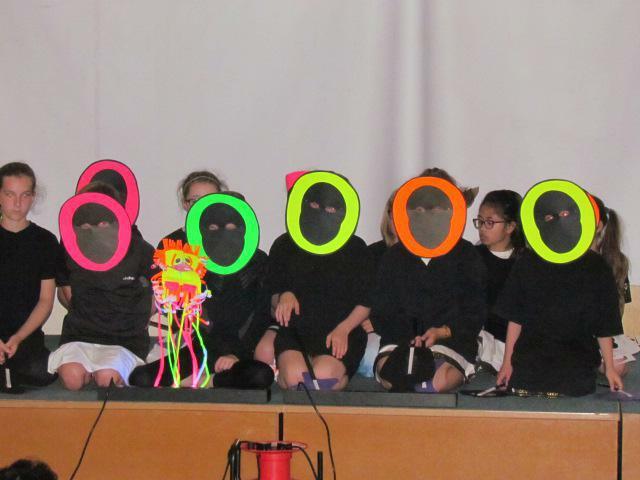 Thank you to Mrs McGurk, all the staff and pupils who have put in so much hard work and effort in making this year's performance a huge success, with a special mention of "thanks" to Mrs Biedka, who made a lot of the props.